After missing Dry January, I’m just going to make up my own event, dryish February. From today 6th February to 6th March, I’m going to try to cut down my alcohol consumption by at least 50%. To enable me to do this more effectively, one of the first steps I’ve done this morning is locked up my credit card. I’ve noticed that it’s much easier just to rack up unconcious spend when you ‘think’ that you’ve got money available, when you’re technically running on borrowed time. I haven’t really got any big New Year Resolutions lined up, but in the first week of 2019, I’ve already donated blood and set myself a target of run/walking 5-10 ParkRuns this year (even though I hate running). As masters of procrastination, people tend to give up their health goals in the first 3 weeks of January. Fad trends like Veganuary and Dry January circulate the news, hence sales of relevant products go through the roof. My intake of alcohol has certainly gone down massively after my holidays in Germany, but that’s mostly down to financial commitments (service charges, motor repairs, insurance, and so on and so forth). Thus, the upside of being skint is that my diet is likely going to be much healthier. Buying Christmas presents is a tedious task and many of those presents will either be returned or get lost in long term storage. If you are a grandparent, it might be tempting to give cash, buy premium bonds or toys, but for a lasting present that doesn’t corrode (literally), nothing quite feels like buying gold bars or coins. With gold bars, the premium you pay over the raw material is relatively good compared with jewellery purchases. Unlike jewellery, the gold bars are usually sealed in a blister pack (24K Gold that is), hence it’s not worth bothering with cheaper alternatives like 14K, 18K gold commonly found in jewellery. 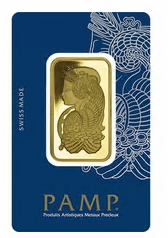 My favourite gold bar brand is the P.A.M.P. bar, which stands for artistic precious metals products, because the design is quite nice, is very well respected and each bar has a serial number which can be verified through their app. ZAIS TP8Y to receive a free 1oz silver bar above 250 pound spend). The price of gold has been relatively stable/increasing over the last few years, unlike the price of Bitcoin, Ethereum and other speculative assets. Unless you’re minted, you’re unlikely going to gift bitcoin to your relatives, since it isn’t physical (even the physical bitcoin coins are just a proxy for the underlying private key). Once, I remember gifting the equivalent of a pint of beer to a colleague (in Feathercoin), but a year later those coins would have been barely enough to buy a pint of tap water. Have you ever bought or received a Christmas Hamper from a proper posh place like Selfridges, Fortnum & Mason or Harrods and wondered how you’re going to finish half of the things in it? Well, you’re not alone. 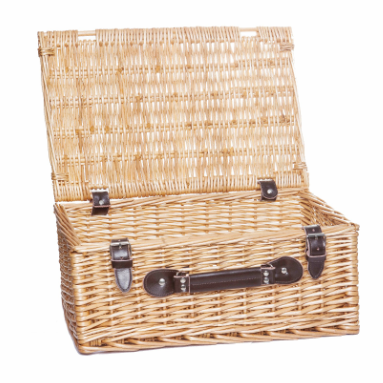 Instead of purchasing a pre-selected hamper, wouldn’t it be much nicer to build one yourself with the items you actual want? Hence, I’ve spent some time to put together a premium hampers with less than ten items that I would buy if it was the last hamper I would ever buy. 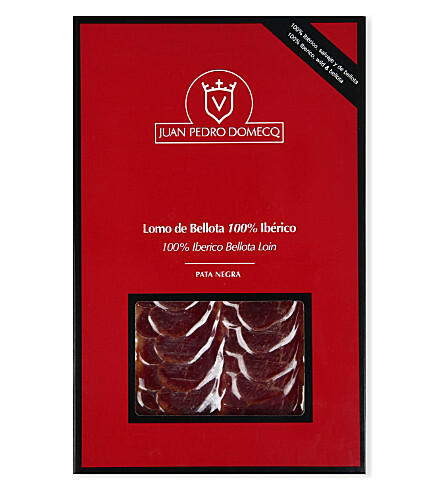 This Iberico ham is perfect with artisan bread, high quality olive oil and a good cheese selection. My recommendation is that the meat is saved for special occasions and for people that appreciate high quality Jamón Ibérico, since my wife and son couldn’t really taste the difference between this and the normal parma ham we get. This has been on my wish list for two years, since I can’t really justify spending this much money on a casual wine for my own consumption, since my wife doesn’t drink. As with most wines over 100 pounds, most people will not be able to taste the difference (me included), hence it’s just buying into an experience, the brand, and the nicely shaped bottle. 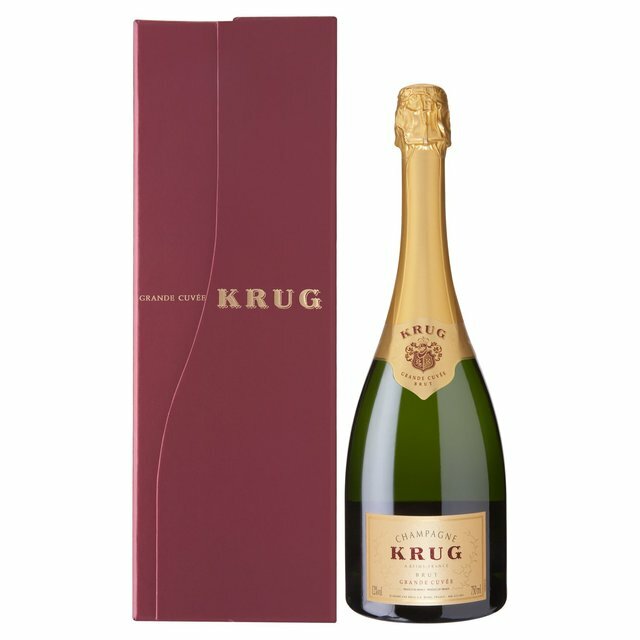 This kind of Champagne isn’t really put into hampers, ever, since 50% of the value of the hamper would go into the wine itself, but I’d rather have this than try to eat some stinky stilton or try to appreciate a £25 pound bottle of balsamic vinegar. Instead of the aforementioned balsamic vinegar, the smart option would be to include the organic smoked salmon, a favourite for canapes, starters, salads and more. Cheaper alternatives are available, but just don’t carry the same gravitas as the Fortnum & Mason name. 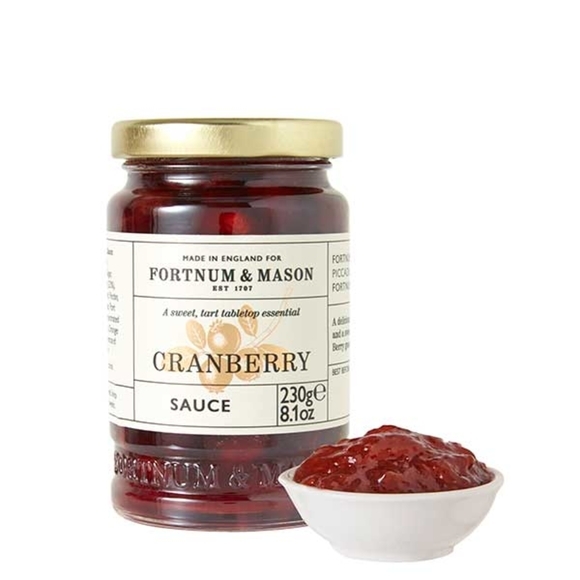 I think Cranberry Sauce is slightly more versatile than Piccalilli for savoury biscuits or crispbreads, since it goes quite nicely with some soft cheese. When I crave the taste of pickled vegetables, it’s must easier to just get some pickled gherkins. 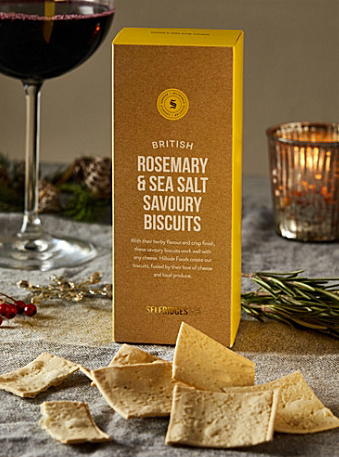 These biscuits are more like savoury wafers and the reason they are here is because they taste nice and weren’t totally useless when I went through the Selfridges hamper two years ago. Each biscuit won’t really hold that much cheese, cranberry sauce or salmon, which might be interpreted as embracing the low-carb living (or not). 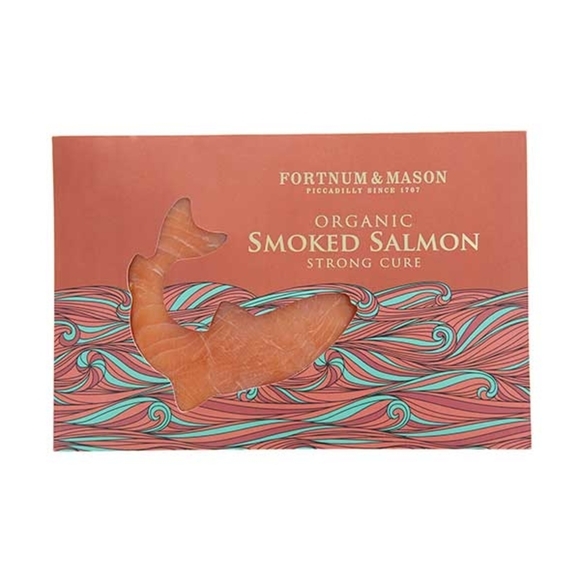 The standard cheddar included in Fortnum’s hampers is a cylinder shaped cheddar packed in wax (Wax Cheddar Truckle 400g), which makes cutting into slightly painful. This cheddar seems to be much easier to chop into thin slices. 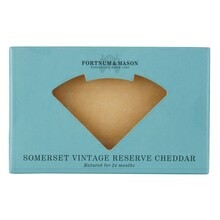 It should deliver quite a strong taste as well, since it’s aged for 24 months vs. the 12 months on the cheddar truckle. You can get the hamper itself in varying sizes from the likes of eBay. I could probably pick up some hay for free from a local farm, since that ends up in the bin quite quickly and isn’t really the nicest thing to have into the house. It isn’t cheap by any means, but that would keep me happy for quite some time, without putting me through the potted Stilton challenge.